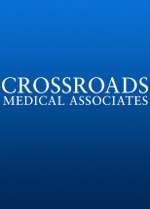 Crossroads > Our Physicians > Indrayani Karkhanis, M.D., D.A.B.F.M. Our Physician - Indrayani Karkhanis, M.D., D.A.B.F.M. Originally from Long Island New York, Dr. Karkhanis moved to Maryland in 2007. She received her medical degree in 2000 from Bangalore University, India. Dr. Karkhanis completed her residency at North Shore Long Island Jewish Hospital in 2004. She received board certification in 2004 in Family Medicine, scoring in the 90th percentile. Dr. Karkhanis was a resident member of the board for the New York chapter of the American Academy of Family Physicians. During her training Dr. Karkhanis worked on several research projects, including research on Women's Health. She also collaborated with the CDC to research and perform surveillance of Influenza in the state of New York. Following residency Dr. Karkhanis practiced Adult Medicine, Women's Health and Pediatric Care. After moving to Maryland she has focused more on Adult Medicine and Women's Health. She has worked in both the hospital and outpatient setting. She is a member of the American Medical Association. Her current interests include Integrative Medicine, Preventive Medicine, Women's Health, Obesity and managing patients with Metabolic Syndrome. "As a primary care physician it is my goal to provide the patient with the best possible care to achieve the best health outcomes. We do this through a comprehensive approach. We are able to provide superior care to our patients by combining traditional medicine with complementary therapies."